Happy New Year, Gameologiganders, and welcome to our weekly thread for the discussion of weekend gaming plans and recent gaming glories. The first week of a new year doesn’t usually bring any big video game releases, but there were a few cool things that snuck out the door just before we bid that terrible, no-good year goodbye. I’ve been spending my time with a few last-minute full releases, The Walking Dead: A New Frontier and Shantae: Half Genie Hero, but December also brought a couple of free demos for upcoming PlayStation 4 games, and those are what I’ll be digging into this weekend. Sony is offering up a taste of Gravity Rush 2, the sequel to its physics-defying cult classic about a woman who can control the gravity around her, before the game hits shelves on January 20. More exciting, mostly because of how straight-up weird the whole thing looks, is the demo for Nier: Automata. Oddly enough, this is another unlikely sequel to a modern cult classic, this one being Square Enix’s oddball RPG Nier. 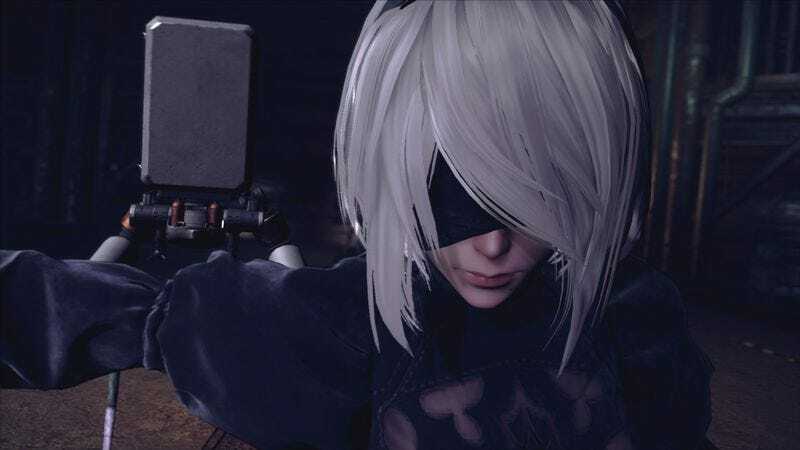 This time around, Platinum Games (developers of Bayonetta and Vanquish, among others) is handling the bulk of development, and from the sounds of it, Automata has inherited plenty of the studio’s signature style. I’ve held off on digging into this, thinking it might be fun to go into the full game completely blind, but I’m just too damn curious to hold off. The game will also be released on PC come April, but for now, the demo is available only on PlayStation 4. But enough about me. What are you playing this weekend?